Lisa Condit recently spoke with Ruby Gibbs, who plays Sylvia in the national tour of Broadway’s Finding Neverland. Read on for highlights from their interview or listen to the full interview below. 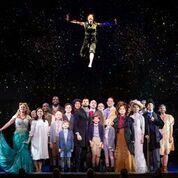 You can catch Ruby and the rest of the cast when Finding Neverland flies into The Hanover Theatre Wednesday January 2 – Sunday January 6. Lisa: I’m so excited for Finding Neverland. It’s pretty magical. Ruby: It is a dream come true to be with this cast. Not only is it a beautiful, joyous, fulfilling show to do, but the people that I get to do it with and travel the country with, I couldn’t have asked for a better team. It’s magical experience, no pun intended since we’re talking about Peter Pan. Lisa:When I saw it on Broadway, I will admit, I cried, but it is so uplifting. Ruby:I’m in it and I cry! Every night! Lisa: How did you get involved with the touring production? 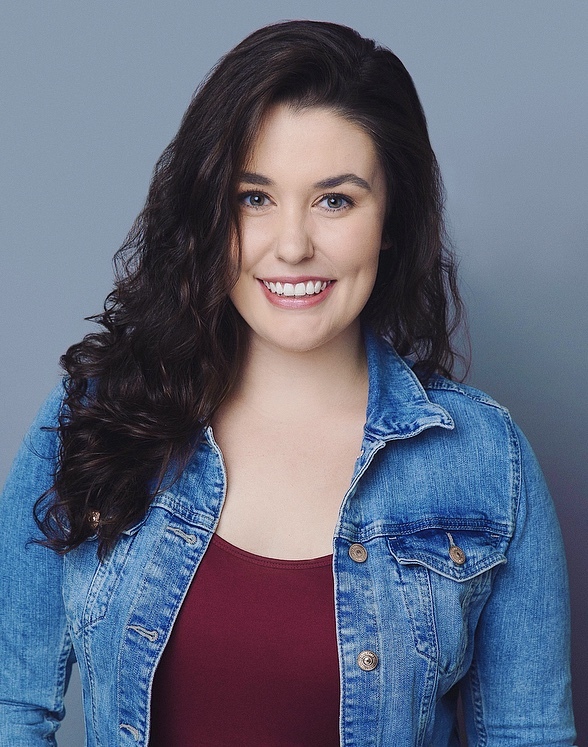 Ruby: I graduated from Elon University in 2017 and I moved to New York City. I was lucky enough to get an appointment for this musical and I went through two or three call backs and I got that phone call. June 6 was the best day of my life! I didn’t know too much about the story before I went in for my initial appointment. I got to listen to the music and read the script. These characters are so vivid and so beautiful and fully developed, and it’s a story that we’re all so familiar with. It’s the story of how Peter became Peter Pan. It’s a story that’s so near and dear to everyone’s hearts. Even before the curtain rises, it’s a story that everyone will be able to identify with. I get to play Sylvia Llewelyn-Davies, the mother of four young boys, who becomes close with a writer named J.M. Barrie. He is the one who wrote Peter Pan. I’m the luckiest girl in the world to be on this tour. I’ve never been west of Missouri, and by the end of the month I will be in California! Lisa: What are some of the highlights of the production? Ruby: The show is so magical. People are flying on stage. There are lots of lifts, and there are lots of beautiful tech elements and special effects. It takes your breath away. It’s a story that reminds you that you never have to lose your inner child. That’s something that the audience walks away with. There are kids in the cast, and dogs in the cast. My goodness! It will make you laugh and cry! It’s the whole package. Lisa: On the last performance of the run, Sunday, January 6 at 1 pm, we have a special performance where we have American Sign Language and enhanced audio descriptive services available for people. They just need to let our box office know a few days beforehand. The earlier the better. It seems like the perfect story and production to bring a group to. There aren’t a lot of options for people to see a full Broadway tour with American Sign Language. Ruby: We just did a show two days ago with ASL signers there and it was so beautiful! The audience really enjoyed it, so I know it’s just magical. We’re so excited to be there with you guys! And to be spending New Years with you, it will be a New Years to remember for sure! This entry was posted in Behind the Scenes on WCRN Radio, Broadway Series, Family-Friendly Shows, Upcoming Shows. Bookmark the permalink.